A few years back, with a budget under 300 dollars you could buy a borderline-decent smartphone, with a low performance, a weak camera and overall, there was a mile between them and the more expensive, high-end flagship phones. But, a couple of years back, we have noticed a shift of interest from the smartphone manufacturers, focusing a lot more on the low-mid-range phones, than they would before. So, now, we have high-performing smartphones at surprisingly low prices, capable of playing the latest games, having a decent camera and a decent display (there are even a few of them that almost invalidate the ownership of a high-end flagship phone). In 2017, this statement is truer than ever, it is extremely easy to find a great smartphone under 300 dollars that will compete with the flagships from the last years. So, we tried to find the most balanced, high performing smartphones, with a great camera, a large display and we compiled them into a list. It’s not every day that I get the chance to squeeze into this list of mid-range handsets an actual, recently-released flagship smartphone and this time, the gods have blessed us with the controversial LG G5. 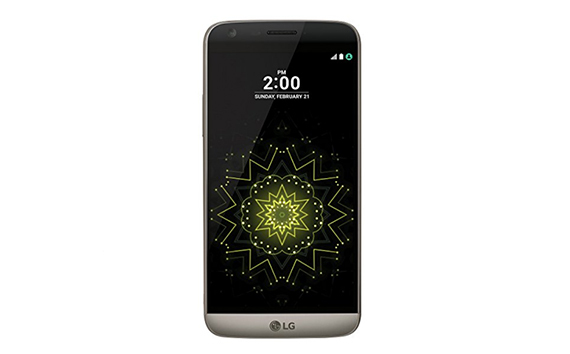 The G5 is the 2016’s top handset from LG and, while it was equipped in a similar way as the other Android flagships (such as HTC 10 or Samsung Galaxy S7) the Korean company took some risks and experimented a bit with the exterior of the device in order to make a traditional modular phone. These experiments backfired in a major way since users were generally unhappy with the overall look and feel of the LG G5, therefore heavily devaluing the device in a span of a year. Still, nobody can deny that the G5 remains a very powerful smartphone even on today’s standards and some may argue that it has the best mobile camera of 2016. That being said, I am not going to review the LG G5 as a flagship phone, but from a capable mid-ranger point of view and see how does it fare with other affordable handsets released recently (and from the last couple of years). 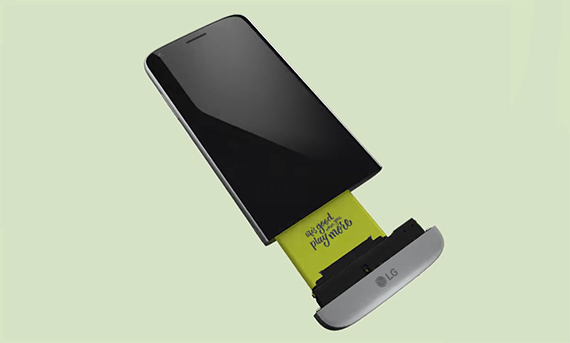 The design of the LG G5 is the root of all its problems and I’ll let you know why. First of all, most phones, flagship or not, come either in a full glass body or with a combination between glass and metal. The G5 has a metal body (a significant upgrade over the plastic G4), but LG decided to apply the antenna directly to the aluminium casing and add a layer of primer (albeit a rather thick one) on top of it. This broke the metallic feel that most users expected from recent handsets and gave the illusion of plastic, which, nowadays is a no-no even for mid-rangers. Secondly, LG did not play it safe and tried to accomplished something that every other manufacturer has failed: it tried to create the perfect modular phone. Other companies have tried their hands into modularity (such as the Project Ara) and, while I understand that the smartphone market desperately needs something new, a modular handset is not really the winning formula in the current context (modules are usually very expensive and people have a habit of getting bored and change their phones after about two years). So, following the traditional way of creating a modular phone, the G5 consists of two separate parts: the larger top zone (with the display on the front and the camera and buttons on the rear) and a smaller bottom side which can get detached to reveal the removable battery (yes, the G5 is one of those rare smartphone to allow the user to change the battery). The body of the LG G5 is slightly smaller than the G4 (down to 5.3 inches), which makes it easier to maneuver and the bezels are slightly narrower on the lateral sides, but still relatively thick on the top and bottom. Comparing it with other similarly priced phones, the G5 is doing quite well and I liked the completely black top front which gives the illusion of a continuous larger display (enhanced by the slight curve towards the top edge). What attracted some negative criticism is the fact that there are visible irregularities between the main body and the bottom side which breaks the continuity of the phone and it reveals that it’s a detachable part in an unsavoury way (furthermore, if the bottom part is frequently removed, the fixing mechanism can become loose in time and a visible gap can appear). Some things to expect from the G5 are the IR Blaster, the fast and accurate fingerprint reader and the capacitive buttons. On the front, the G5 features a 5.3-inch IPS LCD display, with a resolution of 1440 x 2560 pixels, 16 million colours, a pixel density of 554ppi and is protected by Corning Gorilla Glass 4. Now, does a small 5.3-inch display really need a 2K resolution? Obviously not, as it will have a heavy impact on the battery life, but while some may argue that there is no distinguishable difference between a 1080p and a 2K panel at that size, I did see a sharper text and better, more realistic images and videos. Comparing it with the usual 1080p of mid-range smartphone, it definitely feels superior, but the decision to avoid the AMOLEDs in favour of the LCD technology has cost the G5 in terms of dimness and brightness (although the advertised maximum 900 nits should be enough for sunny days). Inside the case, the LG G5 is equipped with a quad-core Qualcomm MSM8996 Snapdragon 820 chipset (dual-core 2.15GHz Kryo and dual-core 1.6GHz Kryo), an Adreno 530 GPU, 4GB of RAM, 32GB of internal storage and you can add up to 256 GB using a microSD card. I know I said that I would look at it from a mid-ranger point of view, but, it pretty much blows away every smartphone in its price range. The interface feels smooth and reactive, multitasking posed no problems because of its 4GB of RAM and gaming was smooth and without any lost frames. The Snapdragon 820 is known to handle even the most resource-heavy games and yes, the G5 can handle everything you throw at it without breaking a sweat. Since this is a metallic phone (hidden under some layers), the handset will get warm while gaming extensively, but most of the time, the G5 had a constant, acceptable temperature. Comparing it with the other flagships of 2016, both the S7 and the HTC 10 had a very similar performance and the same can be said about the iPhone 7’s performance, so it’s clear that the G5 can hold its ground against its competitors and it remains a powerful flagship device after all. The interface of the LG G5 is built on top of the Android 6.0.1 (Marshmallow), but, as expected it can be upgraded to Android version 7.0 (Nougat) and it will receive the newest Android O (v.8) very soon. The G5’s UI feels very different than on the previous generations, since there is less bloatware (so no unwanted LG apps), but a weird decision was the removal of the app drawer. 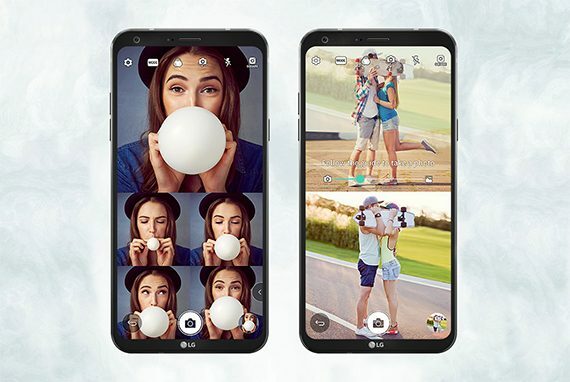 I am not sure why LG thought that this would be a good idea (maybe they fancied the iPhone look), but there are ways to get it back (LG has an official launcher available if you want the app drawer back). Overall, the interface felt very close to stock and more responsive than with previous iterations (one very important aspect is that very few G5 smartphones have experienced the bootloop bug, while the G4 is notorious for this generalized problem which, currently, is part of a class-action lawsuit against LG). 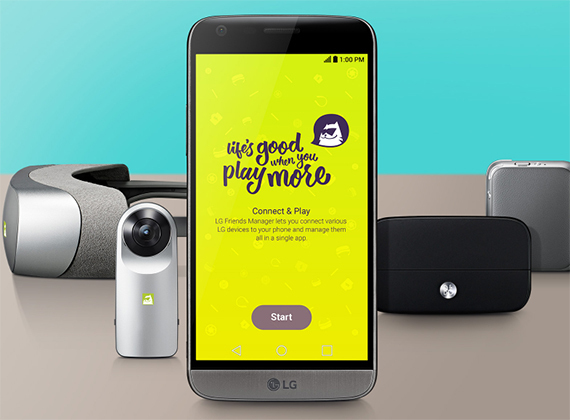 On the rear panel, the LG G5 is equipped with a dual camera setup: a primary 16-megapixel camera with a f/1.8 aperture, 29mm lens, 3-axis OIS and LED flash (it can film 2160p videos at 30fps and 1080p videos at 30 or 60fps) and a secondary 8-megapixel wide-angle camera with a f/2.4 aperture and 12mm lens. The rear camera is the best feature of this phone since it has been regarded many times as possibly the best mobile camera of 2016 and for good reasons. On its own, the primary shooter is able to capture really sharp pictures in good light, with a high amount of detail, a very good colour reproduction, the images were vibrant and with a proper exposure. In low light, the primary rear camera handled things really well and, while it isn’t perfect (I noticed a bit of noise reduction and occasional overexposure), it is up there, next to the performance level of the Galaxy S7 and iPhone 7. Things get interesting when you switch to the secondary rear camera which has a field of view of 135 degrees (yes, it’s more than the human eye can see), therefore being capable of capturing a lot more scenery than with the primary camera. Of course, the picture quality is more limited, but you’ll find yourself using this feature more often than not. On the front, there’s an 8-megapixel camera, with an aperture of f/2.0, a 1/4″ sensor size and it can film 1080p videos only. The front-facing camera is really wide, so more than one person can fit into the photo and, while it’s not the best on the market, it’s more than enough for the occasional selfies either during the day or during the night. While the design choice may not be the best I’ve seen on a flagship phone the last couple of years, LG made another unfortunate choice when it added only a 2800 mAh battery to handle the power and the display of the G5, but on the brighter side, the battery can be removed and exchanged in case of an emergency. I was able to get no more than 3 hours of screen-on time and if used moderately, the battery is able to deliver a full day before needing recharging. The good news though is that LG uses Qualcomm Quick Charge 3.0 (USB type-C), so you can charge the battery from 0 to 60% in half an hour and from 0 to 100% in about an hour. The Chinese smartphone manufacturers get more popular everyday in the US and the European marketplace (and it’s no surprise since their phones are usually much cheaper than the competition), which has a deep impact into the how flagship smartphones are perceived and it further thins the already narrow line between them and the mid-range handsets. That being said, a year ago, Huawei released the Honor 8 as one of its latest attempts to take on “the medium-range flagship smartphones” and since the user reaction was pretty much positive, it has put Honor on the map as a highly desirable smartphone manufacturer (along with OnePlus and ZTE). Since OnePlus 3T and ZTE Axon 7 are out of my reach for now, let’s see how does the Honor 8 perform. The mid-range smartphone zone is definitely changing and the design of the Honor 8 is proof of that. If one looks at the phone for the first time and moves it from one hand to another, it won’t believe that it is not a premium flagship smartphone. 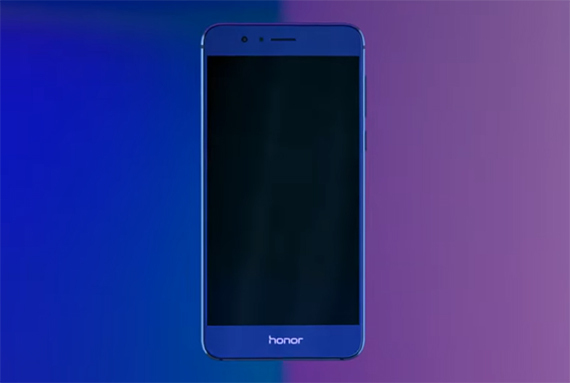 The top and the bottom part of the Honor 8 are completely made of 2.5D glass, with both parts curving towards the edges and being fused to the aluminium band which surrounds the phone. 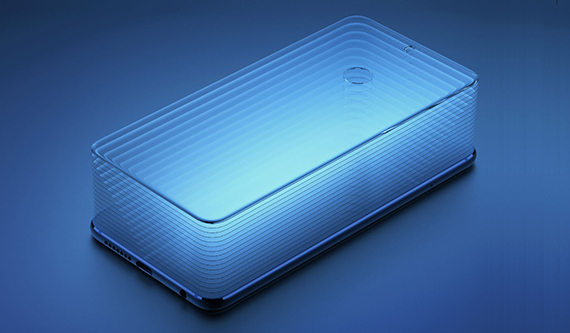 The main attraction of the Honor 8 is the rear glass panel which instead of using the usual six to eight layers, it features 15 layers of glass that use a 3D grating effect, so the light doesn’t simply reflect just like in a mirror, instead it refracts and diffuses in a spectacular and unusual fashion. The thin bezels and the lack of any bumps all around the case offers a seamless, smooth feeling while holding the phone in hand, but, at the same time, it also feels incredibly slippery (a case is mandatory to ensure the phone’s survival) and bear in mind that the glass is a magnet for fingerprints. On the front of the device, you won’t find any capacitive buttons (the mildly annoying Honor logo sits proudly in their place) and you only get on-screen keys for navigating the interface. On the back, there’s a circular fingerprint sensor which works really fast and, even if it scratches (and it may, because it’s not made of glass or ceramics), it will continue to function correctly. At the top, Honor has also added an IR blaster (something that seems to becoming extinct from the newer smartphones), which will allow you to control your TV or other compatible devices. Overall, the design of the Honor 8 is second only to the Samsung Galaxy S7 Edge and that’s saying a lot for such an inexpensive smartphone. 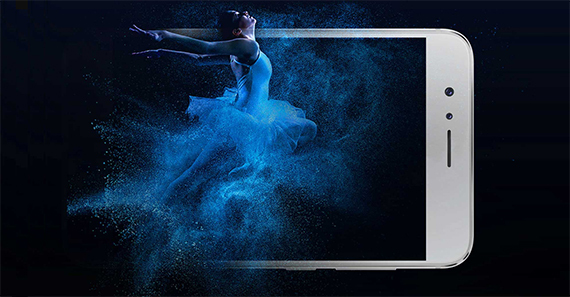 Between the narrow bezels, rests the 5.2-inch LTPS touchscreen display, with 16 million colours, a resolution of 1080 x 1920 pixels and a pixel density of 423ppi. The display is protected by Corning Gorilla Glass 3, so the coating on the screen is a bit less resistant to scratches than a Gorilla Glass 4. I think the Full-HD resolution is suitable for a 5.2-inch display and I don’t think a 2K would make a noticeable difference to a smaller than a 5.5-inch screen. Of course, the display doesn’t have the high contrast and the vibrancy of an AMOLED, but the images and the text were sharp enough, the colours were a bit on the cooler side and the maximum screen brightness is 455 nits, which is average, but it will definitely handle a sunny day without problems. Under the hood, the Honor 8 sports an octa-core HiSilicon Kirin 950 chipset (a quad-core 2.3GHz Cortex-A72 processor and a quad-core 1.8 GHz Cortex A53 processor), a Mali-T880 MP4 GPU, 4GB of RAM and 32 or 64GB of internal storage. Also, the Honor 8 comes with a microSD card slot, which supports an addition of up to 256 GB. The HiSilicon Kirin 950 chipset is “home-made” by the Chinese company, but it is surprisingly almost on par with the Qualcomm Snapdragon 820 performance. This means that I had experience some dropped frames from some resource-heavy mobile games, but overall, it had a stellar performance while playing most modern games, the multitasking was smooth and without any stuttering (I could open a large number of apps and I experienced no problems) and most importantly, the phone did not get hot very easily (something that most flagships are guilty of), but it will overheat after more than a couple of hours of heavy playing, which is normal. 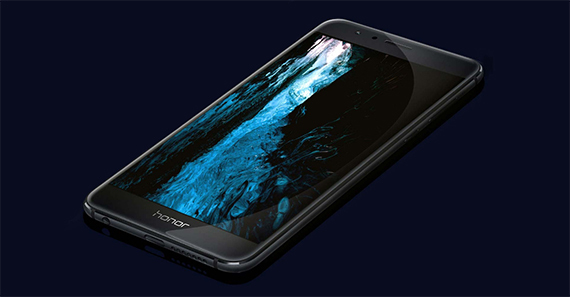 The Honor 8 features the Emotion UI 5.0 which is built on top of the Android Marshmallow v6.0 and it’s upgradable to Android Nougat v7.0 (so far, it is unclear if the Honor 8 will receive the update to Android 8.0). Because it lacks an app drawer, every icon for every app is laid bare on the screen (similarly to the iOS from the iPhones) and people that are not used to this approach may get scared by the overcrowded display (of course, in time, people will get used to it, but I like my phone screen to be as clean as possible). Furthermore, the UI has some interesting features, such as the Smart Key, which gives a lot of additional functionality to the fingerprint sensor (slide the finger down to bring up the notifications, but you can also add some new functions for one press, a double-press or press and hold) and there’s also the motion control which automatically responds a call if you pick up the phone and mutes the call if you turn the device upside-down. On the rear side, Huawei equipped the Honor 8 with a dual 12-megapixel camera setup, an f/2.2 aperture, laser autofocus, dual-LED (dual tone) flash and a 1/2.9″ sensor size. The two rear cameras take composite photos (one captures coloured images, while the other shoots monochrome images, which are later combined to give the final result) and this approach is working fine for Honor 8 because the photos are some of the best I’ve seen taken by a mid-range smartphone. In good lighting, the shots were very good, the images were rich in details, the colours were crisp and accurate and there’s a good amount of contrast. In low-light, the Honor 8’s camera was surprisingly good (even if it lacks optical image stabilization), the photos were rich in detail and there was an impressive balance between shadows and bright areas (although, it sometimes overexposes some photos). An interesting camera feature is that you can alter the amount of blur that’s applied to the background or the foreground. 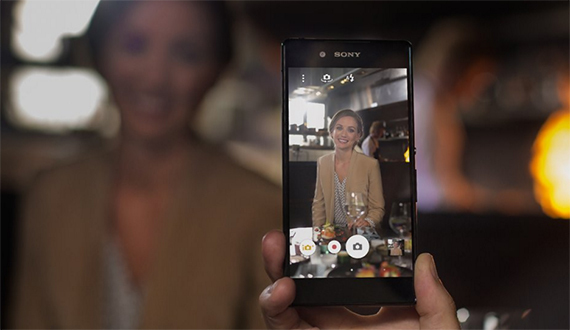 There’s also an 8-megapixel secondary camera which works very well with selfies or for conference calls. Inside the case, the Honor 8 is equipped with a non-removable 3000 mAh battery and while looping a video continuously, the battery died after about 6 hours and a half. As expected the FullHD display helps a lot with conserving the battery life and you can easily get a day and a half of medium use (light gaming, watching YouTube, checking FaceBook). Additionally, the phone also comes with the Smart Power 4.0 fast battery charging feature which will charge up to 50% in about 30 minutes. The ZTE Axon Pro was the first attempt from ZTE to create a flagship smartphone at an acceptable price, offering an alternative to the more expensive handsets from Samsung and Apple. It was big and flashy and it definitely caught the attention of lots of people and since it has been released almost two years ago, it’s finally affordable enough to be apart of this top. Sure enough, the Axon Pro came at the opportune time and became part of “the advent of the mid-range smartphones with flagship hardware”, an event that created a proper middle-ground between the entry-level and the flagship smartphones market. 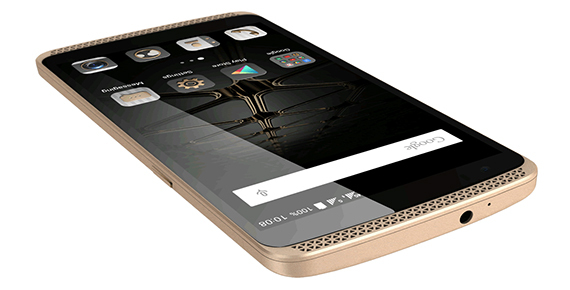 The competition is now harder than ever, so let’s see what can the ZTE Axon Pro bring to the table. While other smartphone manufacturers cut some corners and went for cheaper, low-quality materials, ZTE decided did not make such compromises and invested in high-quality premium materials when it built the Axon Pro. The case is made of aluminum, with soft rounded corners and thin lateral bezels, which make the smartphone to look somewhat narrow. On the top and the bottom, the metal body prolongs a bit further to leave space for two multi-triangle patterns, from which, one hides the speaker (despite the effect, there is no dual-speaker functionality). This makes the phone also a bit taller (6.06 x 2.90 x 0.37 in) and it’s also not really lightweight (6.35 ounces), which could have some impact into maneuverability. 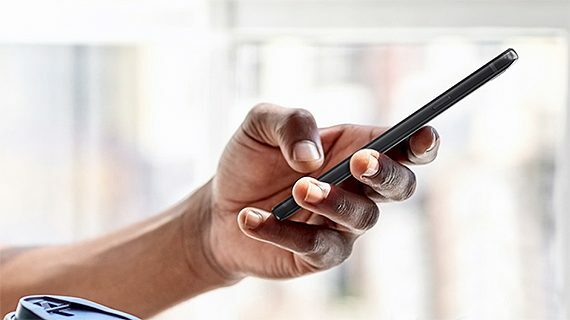 But, while most people won’t be able to use it with one hand, the phone will sit comfortably into the palm, thanks to the slightly inflated back side. One interesting design addition which will catch your attention is the small recessed zone from the rear side (where resides the back camera), which is also covered by the small-triangles pattern. Although not an unibody (therefore, lacking the sleek look of the latest flagships from Samsung or Apple), the metal case of the Axon Pro is still elegant enough and it gives a premium vibe. In-between the two front grills, rests the 5.5 inches IPS LCD capacitive touchscreen, which has a resolution of 1440 x 2560 pixels, 16 million colors and a pixel density of 534ppi. Furthermore, the screen has wide viewing angles and it’s protected by the Corning Gorilla Glass 3. Because of the relatively high resolution, images will look clear, the text will be crisp and watching movies will definitely be more than pleasant (opinions are mixed about whether we actually need such a high resolution on a small screen). The display has 466 nits, so it will do just fine under direct sunlight and will handle going to the beach and reading an e-book (a bit lower than the Moto X Pure, which had an insane 715 nits rating). 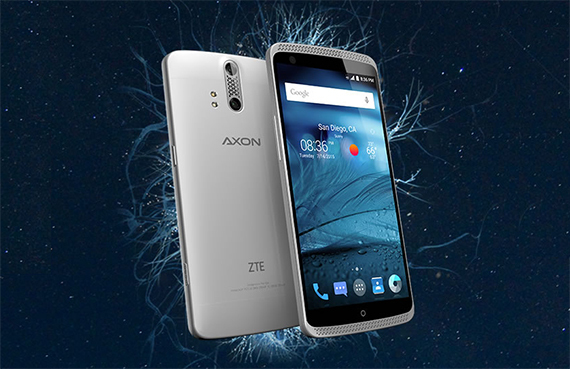 The ZTE Axon Pro is equipped with an octa-core Qualcomm MSM8994 Snapdragon 810 chipset (quad-core 1.5GHz Cortex-A53 & quad-core 2GHz Cortex-A57 CPU), along with an Adreno 430 GPU, 32/64 GB available internal storage and 4GB RAM. Unfortunately, ZTE did not equip the Axon Pro with a microSD card slot, so you can’t augment the storage memory (that’s why it’s advisable to go for the higher 64GB variant). 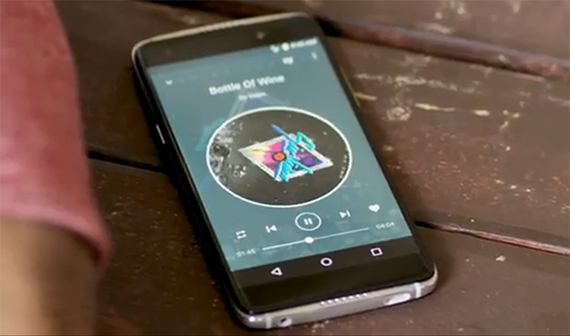 Like other smartphones that are also equipped with a Snapdragon 810 chipset (HTC One M9, OnePlus 2 and Nexus 6P), you can expect a high performance, with games being handled smoothly (even the more demanding ones) and, because the handset also has 4GB of RAM, multitasking should always work properly, even with resource-heavy apps. Some concerns are justified considering that the 810 chipset has a habit of overheating the phone and let’s not forget the fact that smartphones with metal bodies have a tendency to become warm when there are some heavy apps running. But, surprisingly the Axon Pro never reached a high temperature that would shut the phone down (it will get warm, but nothing to make me concerned, so far). Furthermore, once Android released the new 6.0 Marshmallow version, the Axon Pro was on the list to get it (even though not as fast as the Nexus devices) – now, it can be upgraded to Android Nougat, but it is unclear if it will get the latest Android 8.0 update. What you can expect from the new software is the Google Now and Tap feature, the new App Drawer and the Doze mode (the Axon Pro isn’t a ‘pure Android’ device, so there is a bit of bloatware). 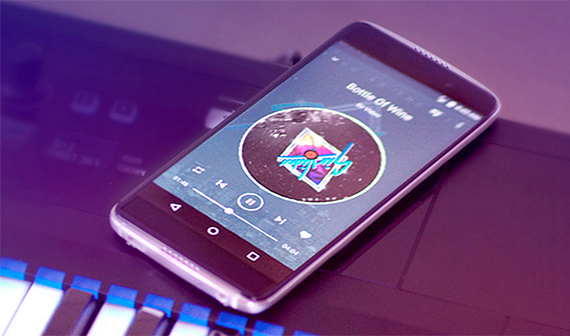 Note: The ZTE Axon Pro supports WiFi calling and VoLTE. 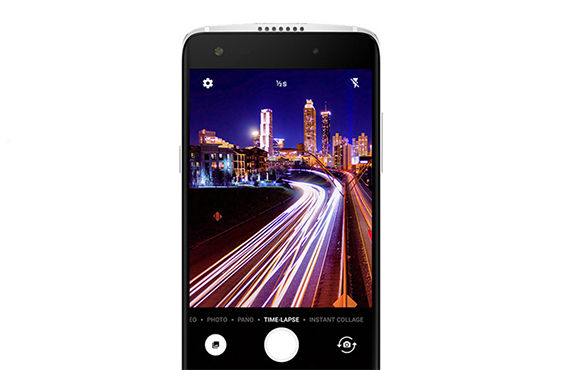 The ZTE Axon Pro has a primary dual-lens 12.3-megapixel camera with a f/2.0 aperture, dual-LED flash (dual tone), HDR, 1.55µm pixel size and 1/2.3′ sensor size. The dual-lens rear camera can capture some impressive shots during daylight, with natural, life-like colours and with a lot of detail. Indoors, the camera will also shoot some good photos, but, you will notice a certain degree of noise (especially around the edges) and the colours will have a tendency to be a bit washed out. If you compare it with the likes of Samsung Galaxy S6, the Axon Pro’s rear camera is definitely inferior, but, as a stand-alone, it is a great camera, suitable for a mid-range handset. 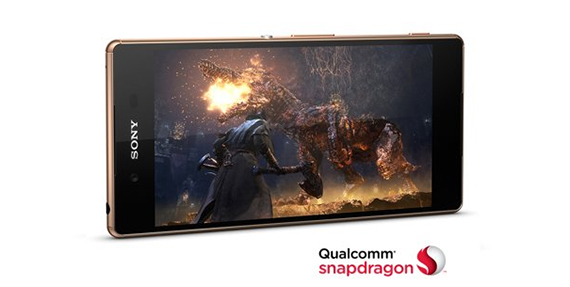 On the front, there’s a 8-megapixel camera with a f/2.4 aperture, capable of capturing 1080p videos at 30 fps. Inside the case, the ZTE Axon Pro has a 3000 mAh Li-Ion battery which is, unfortunately non-removable. 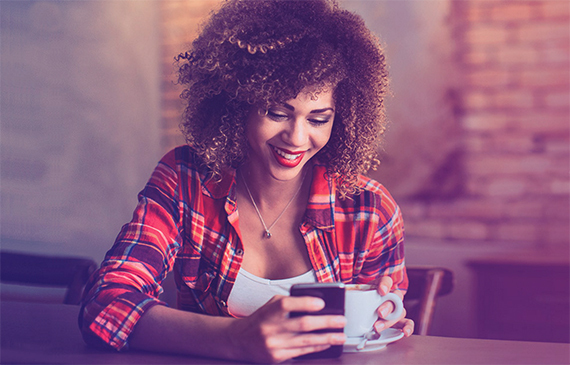 The battery will get you through a day if you don’t use the phone heavily (Internet browsing and checking the e-mail should be fine) and if you loop a video, the battery will deplete after about seven and a half hours. 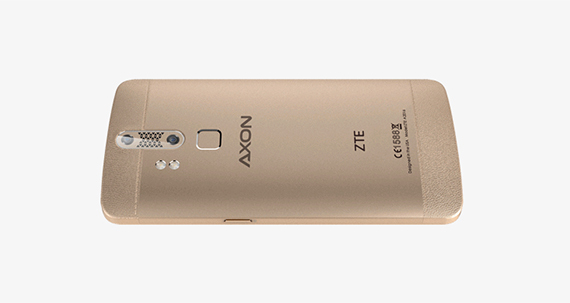 Additionally, the Axon Pro has the QuickCharge 2.0, which will charge your phone from 0 to 50% in 30 minutes. 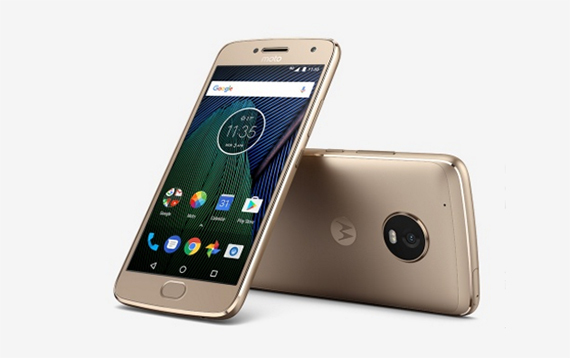 Another year, another Motorola Moto G smartphone, but this time, Lenovo outdid itself with the new Moto G5 Plus. Motorola phones from the G series have always aimed for the budget side of the mid-range type of handsets and the this remains true even for the Moto G5 Plus, but what has changed is that the days of full plastic cases are gone and the metal and glass approach has taken over even the more inexpensive phones from the market. Of course, this isn’t the first mid-range phone to ditch the plastic body, since Asus has done the same with its Zenfone 3, as well as Huawei with its Honor 6X and Honor 8, but it goes to show how blurred has become the line between mid-rangers and flagships smartphones (you don’t need to pay high amounts of money anymore to get an elegant device with a more than decent performance). 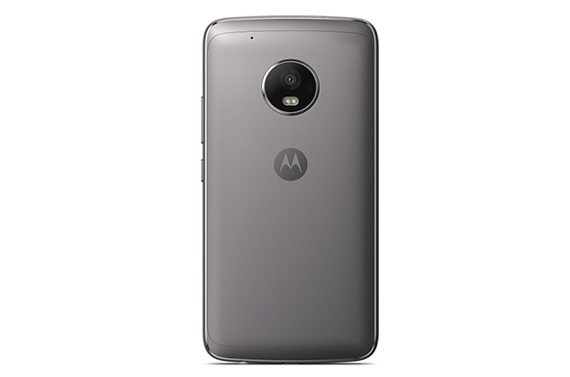 OK, I may have spoken too soon because, even if it is mainly a metal and glass phone (there are some plastic elements), the Motorola Moto G5 Plus is not really as elegant as the newer Samsung Galaxy S8, LG G6, OnePlus 3T or even the Honor 8. Despite that, it does have some aesthetic value, featuring a nice curved back which is mainly made of aluminium, while the frame along with the top and bottom sides are actually made of plastic. I like how the G5 Plus borrowed from the more expensive Moto Z Play the large circular glass area on the back panel in which resides the camera, as it gives the phone a more premium look. But, that’s not really everything that the G5 Plus has borrowed from the Z series, since you will also find some similarities with the earpiece design. Like I said before, the back panel is not completely flat, featuring a slight curve, so the phone can sit comfortably in the palm of your hand and it seems that Motorola also decided to cut down from the 5.5-inch display of the Moto G4 Plus to 5.2 inches, which means that the phone can more easily be manoeuvred (you can even try your luck using it with one hand if you have bigger hands). Everything else is pretty much the same as on the G4 Plus: the volume controller lies on the right side just above the Power button, the headphones jack and the micro USB port can be found on the bottom of the device (I’m not sure why, but Motorola decided to keep the microUSB instead of going with the USB-C port), while the microSD card slot can be accessed from the top (this time, the back cannot be removed and there is no NFC support). Overall, the Motorola Moto G5 Plus is not an ugly smartphone and it definitely bargains its way into the premium land, but I’m not really a fan of the gold variant, since it makes the phone looks a bit outdated, but the darker (Lunar Grey) Moto G5 Plus hides some of its imperfections quite well, so I find it more appealing. One of the most important parts of modern smartphones is the display and the Motorola Moto G5 Plus does a reasonably good job: it features a 5.2-inches IPS LCD display, with 16 million colours, a resolution of 1080 x 1920p and a pixel density of 424 ppi. The screen is protected from scratches by Corning Gorilla Glass 3. The 1080p display is suitable for such small screens and a 2K or more display may be overkill since the eye wouldn’t really be able to distinguish the pixels (also, such a screen goes easier on the battery). That being said, the display of the Moto G5 Plus is suitable for watching videos on YouTube and movies, but the colours seem a bit muted and weren’t as vivid as on the other flagship phones (expected considering the price point), but on the plus side, the screen is brighter than the G4 Plus (which was already bright enough to handle outdoors activities during the summer) reaching up to 591 nits. Underneath the display, there’s a small fingerprint sensor which reacts very fast and remains usable even if the surface gets scratched. Inside the case, the Motorola Moto G5 Plus is equipped with an octa-core Qualcomm MSM8953 Snapdragon 625 chipset (2GHz Cortex A53 CPU), an Adreno 506 GPU, 3GB of RAM and 32GB of internal storage (the phone also comes as 2/4GB of RAM or 16/32GB of storage variants). 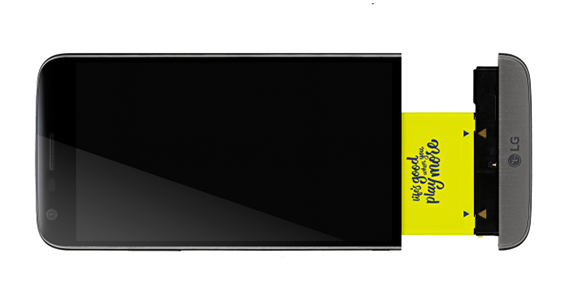 The internal storage memory of the G5 Plus can be expanded up to 256 GB using the microSD card slot. The octa-core Snapdragon 625 is pretty much the standard for the latest mid-range smartphones (the Asus Zenfone 3 is also equipped with it) and its a nice, capable processor, as it has proven its value over time as a battery efficient piece of hardware that does not heat up easily and can deliver a good performance. And that holds true for most part with the Moto G5 Plus, since it can handle multitasking without problems (the RAM helps a lot) and also, some resource-heavy games ran smoothly for most of the time (there was the occasional dropped frame, but nothing too serious). Since the case has some metal elements, the phone will get a bit hotter than its predecessor, especially when playing extensive games for longer periods of time or while fast charging, but it is more of a minor inconvenience and not a real problem (so far). 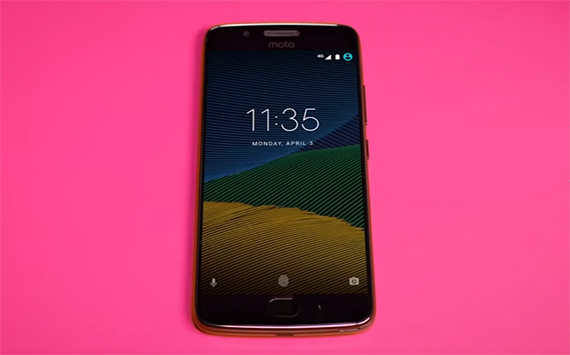 The interface of the Moto G5 Plus is built on top of the Android v7.0 Nougat and, similarly to the previous versions of Moto G, it tries to keep the original feel of Android and doesn’t add too many of its apps. Android Nougat comes with the split-screen mode, better Notifications, enhanced Doze on the Go and Google Assistant. Some of the more interesting features from Motorola are the Moto Actions (open the camera by moving your wrist or move the phone in a chopping motion to turn on the flashlight) and the Moto Display (which shows a preview of the notifications and updates). Motorola Moto G5 Plus has been confirmed to receive the update to the latest Android 8.0. 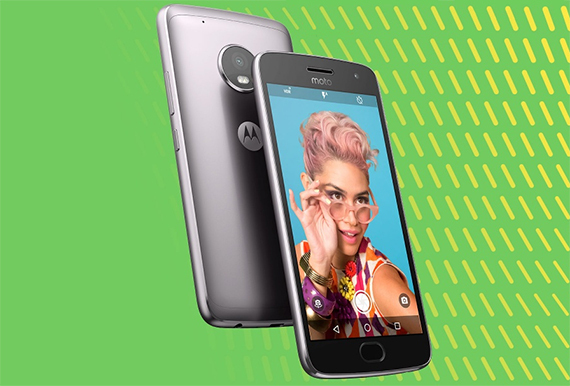 On the rear side, the Motorola Moto G5 Plus features a 12-megapixel camera, with an f/1.7 aperture, dual-LED (dual tone) flash, face detection and auto-HDR. It came as a surprise to see that Motorola went down from the 16-megapixel camera to a 12-megapixel one, but it doesn’t really seem to affect the quality of the images at all (the G5 Plus’ camera has a better aperture and a better sensor) and that’s the problem, the camera performs pretty much the same as that on the G4 Plus. So, in good lighting, the camera can capture some pretty good photos, with sharp details, it had a very good exposure and the colours were rich enough (although not even close to the level of quality of the Galaxy S7 or S8 cameras). In low lighting, things were a bit better than the G4 Plus, since the camera could capture an acceptable amount of detail, but it did overblow any light source and there still was some noticeable noise. On the front, the G5 plus is equipped with a 5-megapixel camera with an aperture of f/2.2 (perfect for selfies or video conferences). The Motorola Moto G4 Plus had a good battery life and the G5 Plus is pretty much the same in this regard, being equipped with a 3000 mAh non-removable battery which can get you through a day and a half if you use it moderately. If used extensively, I got about 9 to 10 hours. 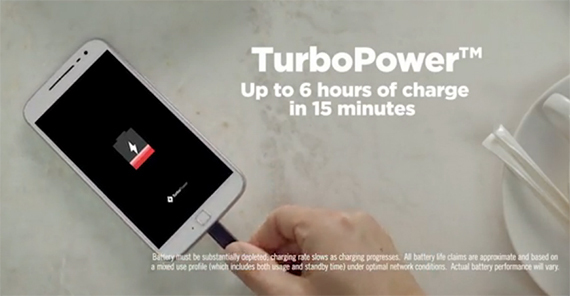 Additionally, the G5 Plus makes use of the TurboPower charger and can get the battery from 0 to 100 % in about an hour. The Alcatel Idol 5S is the latest handset released by the Chinese manufacturer in an attempt to swim out of the large crowded ocean of nearly-identical mid-range smartphones and to also gain a more stable place which would stick years from now (and favour its next smartphone iterations). Alcatel has had a hard time being relevant since the emergence of smartphones and, while it has made some breakthroughs with the Idol 3 (which allowed its users to rotate the interface whichever way was up), the following Idol 4 and 4S went pretty much unnoticed by the general public, even if it had some new features (VR implementation, improved display, Windows and Android platforms). 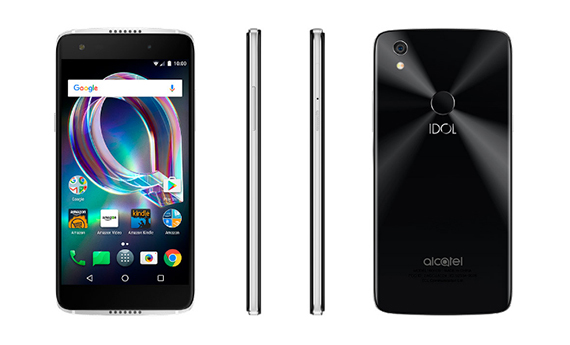 I wouldn’t really call the Idol 4S an unexpected underdog, but more of an experiment which Alcatel kept at a too expensive price tag and the competition was ruthless. It seems that the Idol 5S took an entirely different direction (although it kept some key elements from its predecessor), so let’s see if Alcatel got it right this time. At first glance, there aren’t many differences between the Idol 4S and the Idol 5S and if it wasn’t for the reduced size, you couldn’t really tell them apart. The 5S features the same 2.5D front and back glass panels kept together by a metal frame, which protrudes slightly all around and especially on the top and bottom, leaving space for the dual speaker setup. It’s surprising to see this in a budget-oriented smartphone and the 3.6W front-facing speakers are loud and manage to produce a good quality sound (also, when watching a video or movie, you won’t cover the speaker with your hand, as it happens so often even with flagship handsets). While I’m definitely a fan of glass phones (because of their elegance), these devices are more prone to shatter on mild impacts and the panels do retain fingerprints and smudges. It’s nice to see that Alcatel kept the unique design formula of the Idol 4S, as it makes it stand out from the low-to-mid-range crowd and the choice to go from 5.5 inches of the 4S to 5.2 inches has made the phone easily manoeuvrable (especially for one-handed use). Some things that have been changed from the previous model are the rear camera location (it’s now on the top left), the removal of the boom key (which was programmable) and the unexpected, but welcomed inclusion of a USB type-C port on the bottom (there’s also the rear fingerprint sensor in the centre of the rear panel which, besides unlocking the display, it also supports various other motions – swipe down to view notifications or slide to navigate through the gallery). On the front, Alcatel has equipped the Idol 5S with a 5.2-inch IPS LCD display, which features 16 million colours, a resolution of 1080 x 1920 pixels, a pixel density of 424 ppi and it is being protected by an Asahi Dragontrail scratch-resistant glass and covered by an oleophobic coating. For people that are familiar with the Idol 4S, it may come as a surprise to see that Alcatel went with a lower resolution screen (from the 1440 x 2560 pixels and 534 ppi of the Idol 4S) and an IPS instead of the AMOLED, but it’s clear that it had to cut some costs from somewhere and, to be honest, it is not a bad display: the colours are a bit on the cool side, but can be adjusted towards a more warmer tone, the text looks crisp, it has good viewing angles and it is very bright at its 548 nits (easily visible in bright daylight). Furthermore, the Idol 5S remains VR compatible, just like its predecessor (but, yes, the images won’t be as detailed as before). Inside the case, the Alcatel Idol 5S is equipped with a quad-core Qualcomm MSM8953 Snapdragon 625 chipset (2.0 GHz Cortex-A53), an Adreno 506 GPU, 3 GB of RAM, 32 GB of internal storage memory and a possible addition of up to 256 GB of storage through the microSD card slot. The lower specs of the Idol 5S may come as a surprise, but, while some may wonder what the manufacturer was thinking, just be aware that Alcatel is experimenting and tries to find a way into the mainstream of mid-range smartphones, something which the more expensive Alcatel 4S could not accomplish, even if it was better equipped (the midrange is a tricky zone for smartphone manufacturers). So, the Idol 5S will behave as expected: it will handle most of the games, but you won’t have a smooth experience with resource-heavy games and apps (especially because of the weaker GPU); the multitasking was reasonable (the 3GB of RAM help a lot in this department), with occasional slowdowns, but the real problem is the VR experience, where better internal hardware could have made a big difference (there is noticeable lag and stuttering, where the Idol 4S did a much better job). The interface of the Idol 5S is built on top of the Android 7.1 Nougat platform (it is unclear whether it will be updated to Android 8.0) and, depending on your choice, it can be either close to stock Android (a delight for purists) or, if you’re really tight on the budget, you could opt to go with the Amazon offer and this way, you’ll get a ton of bloatware. 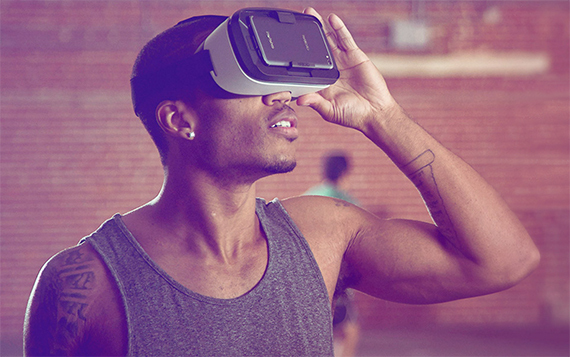 The ad-free version has almost no pre-installed apps (a Radio and a File Transfer app, as well as the VR Home launcher and the VR Store – but, no, this time you won’t get the VR headset included) and you get every other feature that comes from the Android Nougat (such as the Google Assistant and the multi-window). Note: The Idol 5S supports the three-finger swipe to snap a screenshot and you can also turn the phone face down to mute an incoming call. The Idol 5S sports a 12-megapixel rear camera with a f/2.0 aperture, dual-LED flash, 1/2.8″ sensor size and phase detection autofocus. As can be seen, the rear camera is another area affected by Alcatel’s downgrade process, but, surprisingly, it did not affect that much the quality of the photos. In good light, you’ll be able to capture some good shots, with plenty of detail, sharpness and with reasonably accurate colours (although, they’re a bit saturated). In low-light, things are not looking that great: there’s a lot of noise, the colours are a bit washed out and, to capture a reasonable photo, you need to keep the camera still for a longer period of time for it to properly focus. 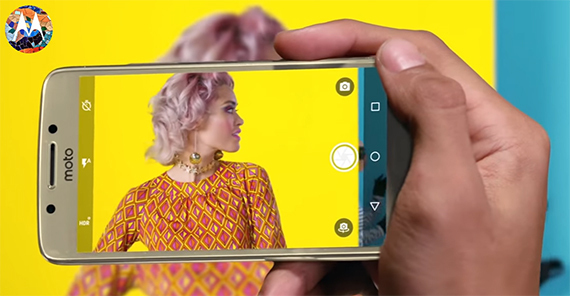 On the front, Alcatel equipped the Idol 5S with an 8-megapixel camera, with a f/2.0 aperture and a 1/3.2″ sensor size. The front camera will do fine with capturing selfies or with video conferences (just like every other smartphone in this price range). None of the other downgrades really bothered me as much as the reduction in battery capacity from the 3000 mAh of the 4S to only 2620 mAh. This will translate into barely a full day of battery life with moderate use and no more than 5 hours of video looping. Furthermore, the Idol 5S lacks any type of fast charging capabilities. 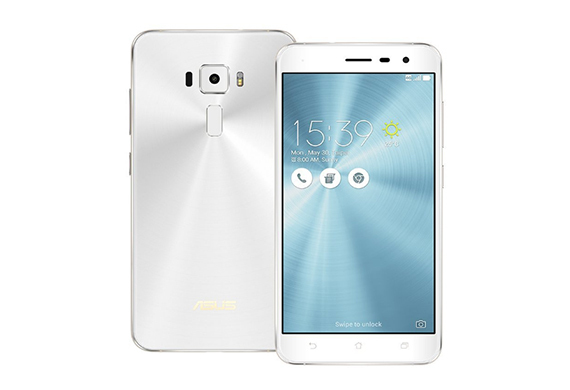 The Asus Zenfone 3 is the successor of the much praised Zenfone 2, which was and still remains one of the best mid-range smartphone that has ever been developed. The Zenfone 2 had close-to-flagship-level power, a good camera and a fantastic price, but the case design lacked in terms of quality. The Zenfone 3 aims to change that, as it now looks a lot better (took a bit of inspiration from the Samsung Galaxy series) and it further improved both the cameras. The Zenfone 3 comes into a few variants and the main difference between them is the available RAM (3/4/6GB), the storage memory (32/64GB) and the size (5.2/5.5/5.7/6.8 inches). Taking into account the budget constraints, I am going to focus on the 5.5-inch Zenfone 3, the ZE552KL. The design of the Asus Zenfone 3 is very different considering its predecessor, the plastic is gone and it is now being replaced by the glass and metal combo that we got to love and appreciate. So, the front and back sides are completely made of glass that are fused together by a metal band that runs around the device. 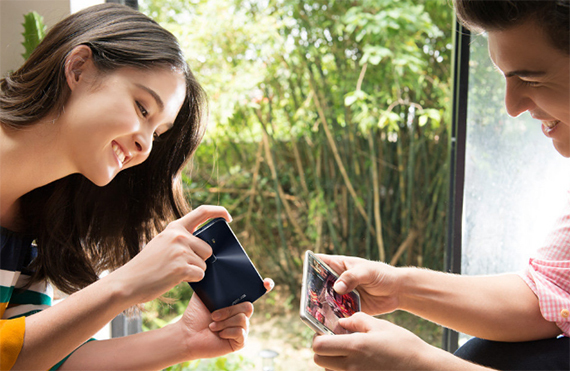 Remember the curved back of the Zenfone 2 that helped so much with handling of the smartphone? Yes? Well, it’s gone. The phone is now flat and because of the glass sides, it’s incredibly slippery (and a magnet for fingerprints). I know it’s a shame to cover a premium-looking device, but if you don’t want your phone to have a very short life, I suggest to get a case or skin from the beginning. Some other changes that Asus made are the replacement of the rear controls with a fingerprint scanner (the volume rocker and the power button can now be found on the right edge) and the rear speaker is now near the USB-C port on the bottom edge of the handset. On the front of the Asus Zenfone 3 there is a 5.5 inches IPS+ capacitive touchscreen display with 16 million colours, a pixel density of 401ppi, a resolution of 1080 x 1920 pixels and it’s protected from scratches by the Corning Gorilla Glass 3. Will a FullHD display be enough by today’s standards? Of course, a phone has a relatively small display and you won’t see the difference between a 2K, 4K and a FullHD display with your naked eye (unless you stick your nose into the screen, which is not healthy). Overall, the display is clear and vibrant, with natural, accurate colours (that don’t really pop-out as on AMOLEDs, but of high-quality nonetheless) and it’s also very bright (600 nits), so it’s very easy to use under direct sunlight. The Asus Zenfone 3 features a Qualcomm MSM8953 Snapdragon 625 chipset (octa-core 2.0GHz Cortex-A53), backed by an Adreno 506 GPU, 4GB of RAM (there are variants that have 3 or 6GB of RAM), 64 GB of internal storage (there are also 32GB variants available) and you can add up to 256GB via microSD. In terms of performance, the Zenfone 3 will handle almost everything you throw at it: it can run heavy games (like Asphalt 8), it delivers a smooth Internet surfing experience and it can run multiple apps without breaking a sweat. Obviously, the 6GB of RAM model will handle things a lot better, but, regardless, the ZE552KL remains a capable smartphone that will satisfy even the more demanding users. Software-wise, the Zenfone 3 comes with the Asus ZenUI 3.0, built on the Android Marshmallow 6.0.1 platform and, while it looks good and could be a great UI, it fails where other smartphones have already passed: the amount of bloatware (the Zenfone 3 can be updated to Android Nougat and it has been confirmed that it will be updated to the latest Android 8.0). It seems that Asus just doesn’t want to understand that users despise pre-installed apps and that a cleaner, stock-like software is the preferred option (Samsung seems to have learned this lesson eventually). One thing that I appreciate though is that the handset runs a lot cooler than the Zenfone 2. Like I said before, the Asus Zenfone 3 has better cameras than its predecessor. You now get a 16-megapixel rear camera, with dual-LED (dual-tone) flash, f/2.0, laser detection autofocus and the OIS (a much expected feature that was missing on the Zenfone 2). The rear camera can only be described as a great mid-range camera, it manages to capture some above-average shots, especially in daylight, with a good exposure, contrast and colours. The images were sharp and with a great amount of details. Indoors and in low-light, the camera also managed to capture some great shots, but there is a perceptible degree of grain and noise present. The front camera also received an upgrade and we now have a 8-megapixel camera, with a f/2.0 aperture that can film 1080p videos and is great for video conferences. Asus Zenfone 3 is equipped with a 3000 mAh non-removable Li-Ion battery (quite different from the battery monster that was the Asus Zenfone Max). The battery is quite capable for its size, as you get a full day under normal use and can handle up to 15 hours of videos playback. Also, the smartphone comes with a USB-C port, so, the battery charges from zero to 100 percent in about an hour and a half. LG has had a couple of rough years, first because the modular experiment LG G5 was not welcomed by the audience, even if it had flagship-level specs and secondly, because the G6, while it was and still is a great smartphone, it came at the wrong moment and was overshadowed by Samsung’s Galaxy S8, which had the advantage of exclusivity for the better Snapdragon 835 chipset. Even so, compared to the G5, the LG G6 was such as fundamentally different device (a more refined exterior, a lot more screen estate, better battery life, while pretty much keeping the same camera as last year’s flagship and most, important, no more modularity) that it managed to once again change the people’s perception towards the Korean manufacturer, which gave it more confidence into releasing a mid-range variant of the flagship smartphone called LG Q6. While a bit smaller, the Q6 keeps the same design and look as the G6, featuring an almost bezel-less case, with soft rounded corners, which makes it very comfortable to hold and a glass front with a plastic rear side kept together by an aluminium frame (7000 series). Unfortunately, LG had to cut from the premium materials to keep the cost as low as possible and went for a plastic back panel which is covered by a glossy finish (so it does try to mimic glass) and, as expected it will retain fingerprints or smudges and it will scratch easily, but, if you drop the phone, it will offer a better overall shock protection. The Honor 8 has kept a high place as one of the most elegant mid-range smartphones on the market, but since the LG Q6 has adhered to the new small-to-no bezels fashion, it does manage to raise the bar for all affordable smartphones on the market from the design point of view. On the left of the device, you can find the volume controller and the nano-SIM & microSD card slot, while on the right, there’s the Power/Lock key. On the bottom of the smartphone, you can find the 3.5mm headset jack and the USB charging port (LG decided to steer clear of the USB type-C), while on the rear side, there’s a single mono speaker. You may have noticed that LG ‘forgot’ to add a fingerprint sensor, something which even some smartphones at a lower price point have implemented and the reason for that (except the financial one, as I suspect) is that it decided to simply go with the new facial recognition system. The phone manages to recognize a face really fast and immediately unlocks the phone (the whole process is almost as fast as the fingerprint sensor) and you can add more than one person to be able to unlock your device, but, by default, you can use a photo of yourself to bypass the security system. To fix this, you can use the advanced face recognition feature which will make the process a lot slower and it will not work too well in low light (call me old fashioned, but I do prefer the reliability of a fingerprint sensor any day). Similarly to the G6, the Q6 does not feature an IR blaster, but it does come equipped with NFC. In between the slim bezels, there’s a 5.5-inch IPS LCD touchscreen display, with 16 million colours, 18:9 aspect ratio (an increase from the common 16:9), a resolution of 1080 x 2160 pixels and a pixel density of 442ppi (the screen is protected by Corning Gorilla Glass 3). While it definitely looks impressive, the display is another element that had to undergo some downgrades and while it won’t be as sharp as the 1440p display of the G6 (which has a 564 ppi pixel density), the resolution is definitely enough for the smaller 5.5-inch display (cut back from the 5.7 inches of the G6). Besides the fact that the display is very vibrant and crisp, with a decent colour reproduction, the aspect ratio is one of the most interesting parts of the smartphones, since it will make gaming and watching movies a more immersive experience. Inside the case, LG has equipped the Q6 with a 64-bit Qualcomm MSM8940 Snapdragon 435 chipset (octa-core Cortex-A53 clocked at 1.4GHz), an Adreno 505 GPU, 3 GB of RAM and 32 GB of internal storage memory (on top of that, you can add up to 256 GB using a microSD card). 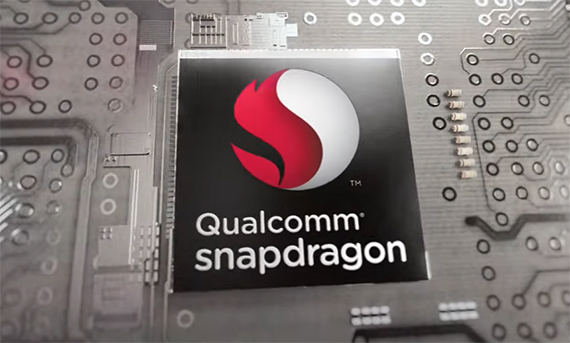 As you would expect, the Snapdragon 435 is not a powerful chip (it’s actually quite modest even for a mid-ranger), but it will do a decent job with most apps, especially because of those 3GB of RAM which will handle multitasking with ease and in everyday use you won’t notice any slow-downs or lag (that is, until you put it next to a flagship smartphone). Furthermore, if you like to play resource-heavy games, then this phone may not be the best fit, but with most other games, it will deliver a decent performance. 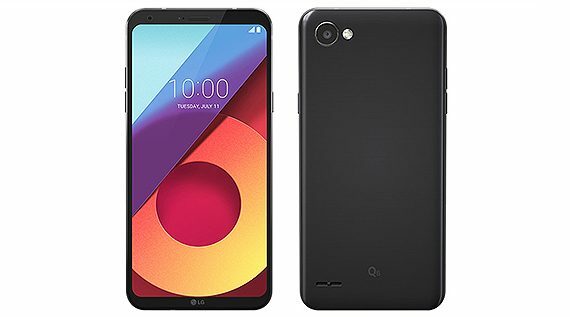 At first glance, the design and overall look of the Q6 is definitely better than the G5, but, since the Q6 is a bit underwhelming (more than a bit actually), if you can ignore the problematic quirks of the G5, you would get a far better performance with the latter (the LG G5 handles everything you throw at it without breaking a sweat and, at this moment, it’s very similarly priced to the Q6). The Q6 uses the v7.1.1 Nougat of Android (which includes pretty much all the fixes and patches released by Android so far for this version), but it will be updated to the latest Android 8.0 Oreo as soon as LG finishes creating its own variant of the OS. To be honest LG hasn’t really made that many changes to the stock version of Android during the years and I expect that the v8.0 to also have some minor design tweaks and nothing more (no bloatware from LG). The only weird thing that I noticed on the LG’s UI based Nougat version is that it lacks an app drawer by default (although, you can enable it afterwards). The camera has been one of the best things about the last two generations of LG flagships and it seems that the manufacturer wanted to keep this advantage over its competitors even in the case of the mid-ranger LG Q6. So, the smartphone comes equipped with a 13-megapixel rear camera, with an f/2.2 aperture, LED flash and autofocus, but there is no OIS (Optical Image Stabilization) and this will have an impact on how the camera will behave. In good light, the Q6 manages to capture very good photos, with a decent level of details and an accurate colour reproduction (the contrast is also quite decent). Indoors and in low light, the LG Q6 also does a good job, having a low level of noise and blur, but, since it lacks OIS, you need a steady hand especially in dimmer environments. On the front, the smartphone features a 5-megapixel wide-angle camera (100 degree), with an f/2.2 aperture and a 1.12 µm pixel size. The front camera is not really fantastic, although it is fairly decent with capturing selfies and the wide-angle will allow more people into the shot. 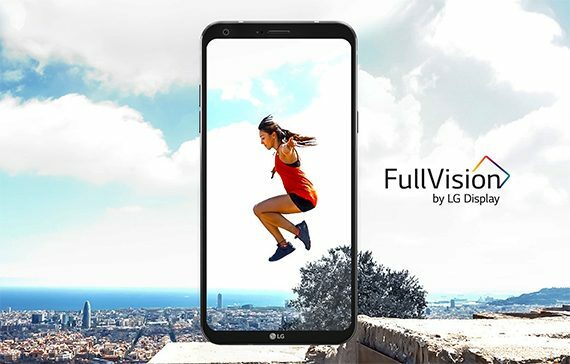 LG has decided to implement a non-removable Li-Po 3000 mAh battery inside the Q6, which is down from the 3300 of the G6, but higher than the 2800 of the LG G5. The battery will deliver up to 10 hours of continuous video playback and it will easily last for a full day until it will need recharging (it does not feature any fast charging technology, but it will take under two hours to fully charge the battery). 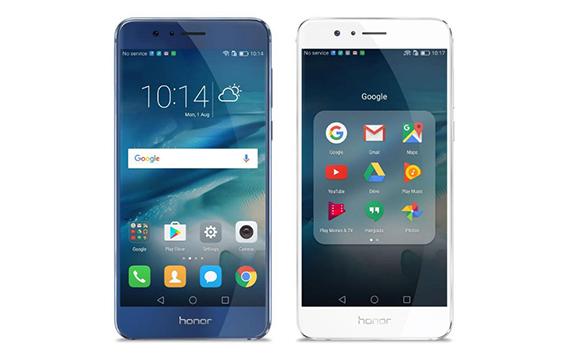 The Honor 6X is the second best smartphone from Huawei, after the fairly successful Honor 8, both of these handsets aiming towards the mid-to-higher-end smartphone market, as well as taking a swing at the more established flagship phones. Huawei is not new to the smartphone world, being a well known name in China and that gave it enough confidence to try its luck in the US and Europe market (and it seems that it may have struck gold because of the continuously increased popularity with every iteration of released devices). The Honor 6X doesn’t really bring nothing new to the table (that’s something usually reserved for the flagship handsets), but it promises to take some elements of the more expensive handsets and combine them in such a way as to give the best mid-range smartphone experience. Let’s see if it manages to rise up to the expectations. The Honor 6X is one of the first smartphones in the mid-range class to feature a metal and glass case, but, while holding the phone in hand, it did not give the same high-quality vibe that some more pricier metallic handsets could. While the back panel is mostly made of metal, with the upper and bottom sides made of plastic for a proper call reception, it did not strike me as sturdy and I’m not really sure it would survive a serious bend test. Despite that, from the visual point of view, the phone looks nice, the slightly curved corners do give a higher comfort level when holding the handset in hand and there are protruded camera lenses which reduce the risk of accidentally dropping the phone. At its 5.94 x 3.00 x 0.32 inches, the phone is relatively large, so there is no chance you can operate it with only one hand, but I did enjoy how the back side curves and allows the phone to sit comfortably in the hand. Furthermore, on the front, there is a 2.5D glass panel (similar to the more expensive Honor 8) and there are no capacitive buttons, their place being taken by the Honor logo (there are three virtual keys for navigating through the interface). On the rear side, underneath the dual-camera, there is a recessed circular fingerprint scanner, which was surprisingly quick and responsive, but be aware that it scratches and if enough damage has been done, it will stop functioning all together (ceramics or glass would have been a better choice, but, let’s not forget that this is a budget phone after all). The most important aspect of any phone is, of course, the screen and the Honor 6x is equipped with a 5.5 inches LTPS IPS LCD display, with 16 millions colours, a resolution of 1080 x 1920 pixels and a pixel density of 403 ppi. I’m not really sure what type of glass protection Huwaei used, but it’s certainly not Corning Gorilla Glass and it scratches way easier than a phone with the aforementioned type of protection, so, to keep your phone safe, you should use a screen protector. Since we are dealing with a 5.5-inch display, I was not really sure that a 1080p resolution would suffice, but, while not as sharp as a Quad-HD display or with the deep blacks of an AMOLED panel, it did perform really well when watching videos and images: the text was crisp, the colours were reasonably accurate (although a bit washed out) and you get the option to choose between a cooler or warmer colour temperature. Also, let’s not forget that the display goes easier on the battery life. Inside the case, Huawei has equipped the Honor 6X with an octa-core HiSilicon Kirin 655 chipset (a quad-core 2.1GHz Cortex A53 processor and a quad-core 1.7GHz Cortex A53 processor), along with a Mali-T830MP2 GPU, 3GB of RAM and 32 GB of storage memory (there is also a 4GB of RAM + 64GB storage variant). Additionally, the Honor 6X has a microSD card slot (the second SIM slot) which allows you to add up to 256GB more storage memory. The HiSilicon Kirin 655 is pretty much the equivalent of Qualcomm’s Snapdragon 650 chipset, so we can expect the phone to behave as a high-end mid-ranger. And this is pretty much the case, because the Honor 6X handles multitasking very well (I haven’t noticed any slow-down or lag), resource-heavy games ran reasonably well (there were some dropped frames and the occasional freezes), but with the large portion of games and apps, you won’t have absolutely no issue. The phone will get warm if you play games for an extensive amount of time, but I have not yet experienced any noticeable overheating problems. Note: One feature which is unfortunately missing, is the NFC function. The Honor 6X runs the Emotion UI 4.1 interface which is built on top of Android v6.0 Marshmallow OS and it can be upgraded to Android v7.0 Nougat (it has also been confirmed that it will receive the latest Android 8.0 update). Similarly to other Chinese manufacturers, Huawei decided to get rid of the app drawer in favour of the more iOS-ish look, where all apps are laid bare on the screen, making the display seem overcrowded. I’m not sure Android users will appreciate this approach, since it’s way far from the stock-looking Android, but it’s definitely something new for non-Apple users. Besides the fair amount of bloatware, there are some interesting features worth mentioning, such as pick the phone to automatically answer a call or flip the phone upside-down to mute any incoming calls. On the rear side, the Honor 6X sports a dual camera, a main one with a 12-megapixel sensor and secondary one with a 2-megapixel sensor with a wider aperture range (LED flash, phase detection autofocus and 1/2.9″ sensor size). The main camera manages to capture very good photos during the day, with a decent amount of detail and with accurate colours. The secondary, wide-aperture camera is a bit more tricky and it didn’t always work as intended (even high end smartphones, such as LG G5 learned this the hard way). Its purpose is to allow the bokeh effect, where you can either blur the background or the foreground, but, the camera did prove to be hit-and-miss. Indoors and in low-light, it becomes clear that we are dealing with a mid-range phone because the photos were a lot grainier and there was a larger amount of noise. 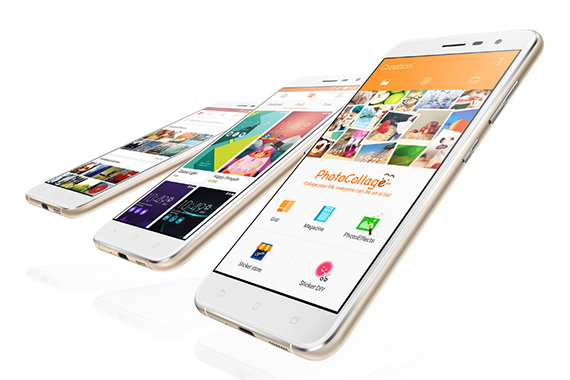 On the front, the phone has an 8-megapixel camera which can film 1080p videos and it is perfect for selfies and video conferences. The Honor 6X is also equipped with a non-removable 3340 mAh battery which will get you through a day and half of medium use (especially because of the resolution of the display) and in a continuous video loop test, the battery drained in about 6 hours and a half. Since it doesn’t have any quick charging features, the Honor 6X will go from 0 to 100% in about 2 hours. In 2013, the first Motorola Moto G was released and became known as the best smartphone for its price tag, incorporating both a high quality display and a great performance. 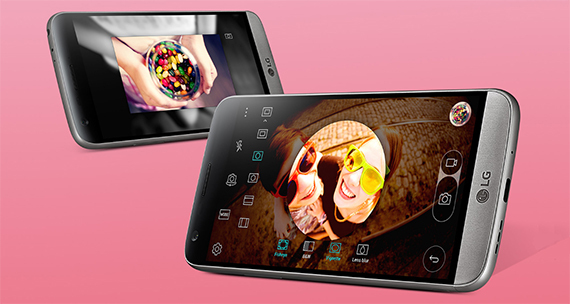 A lot has happened since then, as Lenovo took ownership of Motorola and released three variants of Motorola Moto G4: the G4 Play, the plain G4 and the G4 Plus (which is the better equipped one). What you can expect from the G4 Plus is as usual, a great camera, powerful specs, a great performance and overall, a lot of value for the money. But, it has lost its waterproofing capability (Motorola backs this decision as a lack of demand and relevance). 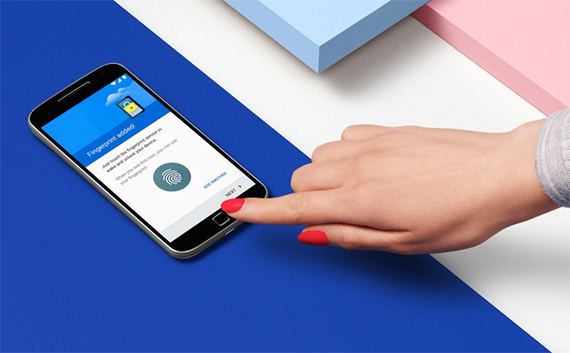 Motorola Moto G features a simple design, with soft curved corners and a subtle textured back that makes the phone easy to hold and to maneuver (although you can’t use it with one hand because of its 5.5-inch size, almost entering the realm of phablets). Comparing it to the first generation, the case is a lot slimmer, but the original Moto G feel still remains. You can remove the back panel, where you can find the MicroSim, the MicroSD card slot and the battery (that cannot be removed). 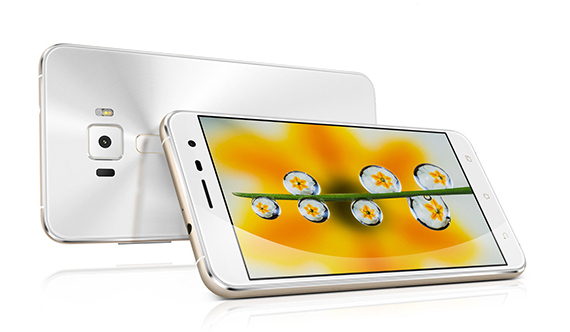 On the front, beneath the display, the G4 Plus features a fingerprint sensor incorporated into a square button. This is a praiseworthy feature, but there is a big shortcoming: the phone does not have the NFC feature. The design of the phone can be customized by using the Moto Maker, so you choose the front colour, the back panel colour or even have your device engraved. All this makes the phone feel a lot more personal. 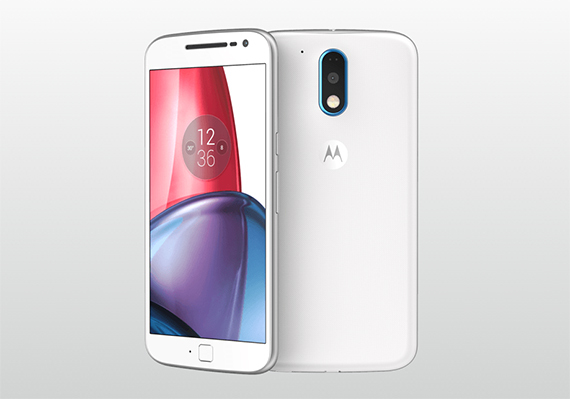 On front of the Moto G rests the 5.5-inch IPS LCD display, with a resolution of 1920 x 1080 pixels, 16 million colours, 401 ppi pixel density and excellent viewing angles. The screen is protected by Gorilla Glass 3. There display is not as vibrant as the Super AMOLED screens from Samsung Galaxy S6 or S7, but regardless, it’s still a great display, featuring accurate colours, a proper contrast, it’s quite crisp and it doesn’t suffer from pixelation. 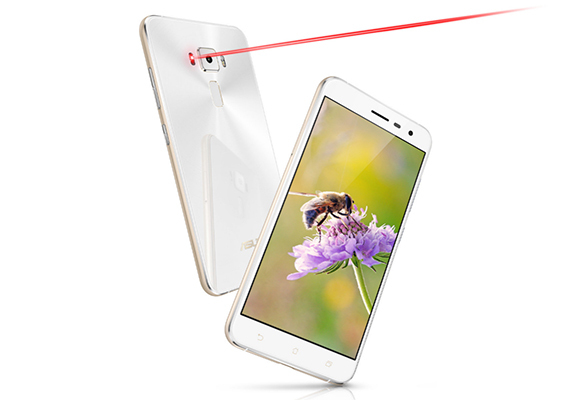 The brightness is improved over the previous version, now measuring 680 nits and it makes it extremely easy to use the phone under direct sunlight. The Motorola Moto G has an octa-core Qualcomm MSM8952 Snapdragon 617 (a quad-core Cortex-A53 clocked at 1.5GHz and a quad-core Cortex-A53 clocked at 1.2 GHz), backed by an Adreno 405 GPU, 4 GB RAM (there are also 2/3GB variants), 64 GB native memory (or 16/32) and up to 256GB through the microSD card slot. The phone does manage to deliver a great everyday performance and it can handle most of the games without any signs of struggle (yes, even the 3D ones that require more power), apps load relatively fast and no slow down was noticed even if more than one app was opened. Additionally, it can also handle heavy multitasking (quite impressive considering the price tag). Similarly to other mid-range handsets, the G4 Plus got a bit warm after some longer gaming sessions. Software-wise, the Moto G features a clean, near stock version of the latest Android 6.0.1 Marshmallow with very few apps from Motorola (a great choice because some smartphones suffer from bloatware). The Motorola Moto G4 Plus can now be updated to Android Nougat and it has been confirmed that it will receive the Android 8.0 Oreo update. If some of the previous models have been plagued by poor camera performance, the new Moto G4 Plus won’t disappoint in this chapter. We got a 16-megapixel rear camera with f/2.0 aperture lens, autofocus, phase detection, dual-LED (dual tone) flash and auto-HDR. You can get some really great results in good lighting, the image was sharp, with an excellent amount of detail, a great exposure and the colours were rich, vibrant and fairly accurate. Indoors and in low-light, the shots don’t disappoint thanks to the laser autofocus. The photos remained reasonably rich in details and the dual-flash manages to deliver accurate colours. Overall, the low-light performance isn’t stellar, but a lot better than the capability of other smartphones from the same category. The second camera has a 5-megapixel sensor, with f/2.2 aperture, auto-HDR and, like the rear camera, it can film 1080p videos at 30fps. If the previous Moto G model had a 2470mAh battery, the Moto G4 Plus sports a non-removable Li-Ion 3000 mAh battery that can get you through a day and a half if on low to medium use and if on medium to extensive use, we managed to score around 10 hours. 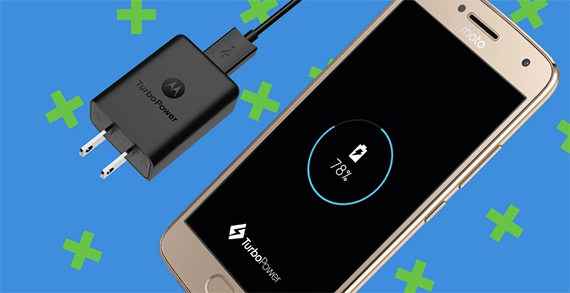 Additionally, the G4 Plus comes equipped with the Turbo Charger feature, which can charge up to six hours of power in no more than 15 minutes. 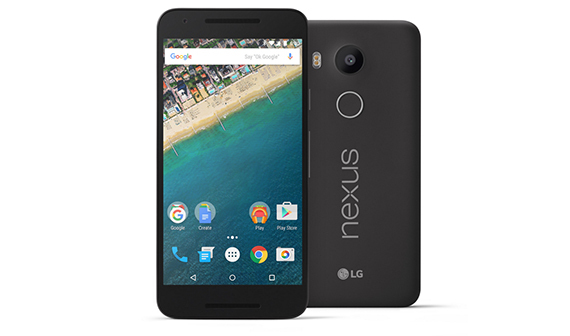 The Google Nexus 5X is the soul successor of the popular Nexus 5, a smartphone of high value, capable of delivering a pure Android experience, had a balanced case and high-end specs, all at an affordable price. After the harsh critique of the Nexus 6, Google turned back to LG to create the 5X, a 5.2 inches handset, now updated to Android Marshmallow 6.0, featuring specs that can rival those of flagship smartphones. Note: You can also check out the full review of the Nexus 5X. LG steered clear of the metal and glass trend and went with the usual polycarbonate case when it designed the Nexus 5X. But you don’t need to worry, the phone is elegant, it features a matte finish (no fingerprints), it has soft rounded corners, curved edges and a thin metal frame. All these make the 5X very comfortable to hold and, because it’s only 5.2in, it can be operated with a single hand. But there are some shortcomings that we have to point out. The back panel doesn’t really feel solid (the same problem as with the mid-range Samsung phones), there is no microSD slot and the buttons lack the quality we were accustomed with the Nexus 5, they are quite small and feel a bit flimsy. But, some great additions can be considered the fingerprint scanner located underneath the rear camera (a small circle) and the implementation of the USB-C port. On the front, the Nexus 5X has a 5.2in IPS LCD display, with a resolution of 1920x1080p and a pixel density of 432ppi (quite bright). The viewing angles are really wide and the screen is protected by Corning Gorilla Glass 3. The image quality is very high (higher than on the Nexus 6). The colours are accurate, the contrast is excellent, the brightness levels are high enough so you can comfortably see the display directly under the sunlight and overall, it’s a vibrant screen (almost on par with the AMOLEDs). The Nexus 5X is equipped with a six-core 64-bit Qualcomm Snapdragon 808 chipset (a dual core Cortex A57 clocked at 1.8GHz and a quad-core Cortex A53 clocked at 1.44GHz), backed by an Adreno 418 GPU, 2 GB of RAM and 16GB of storage memory (there’s also a 32GB variant). In terms of performance, the Nexus 5X handles gaming really well (even the resource-heavy 3D games), it’s fast and responsive, no stutters, multitasking was handled properly, but, the 2GB can sometimes take away the joy (if too many apps are opened, it may need a restart from time to time). One of the most appealing features of the Nexus line is the pure Android experience and the Nexus 5X indeed features a stock version of the Android Marshmallow 6.0 (when the new version will arrive be sure that the Nexus devices will be the first to receive it: you can get the phone updated to Android 8.0). Android Marshmallow is less about visuals and it focuses a lot more on functionality. So, you get a better battery life, a better permission system, the GOOGLE Now and Tap (quite similar to the 3D Touch feature from Apple) and the Auto Backup for Apps feature. 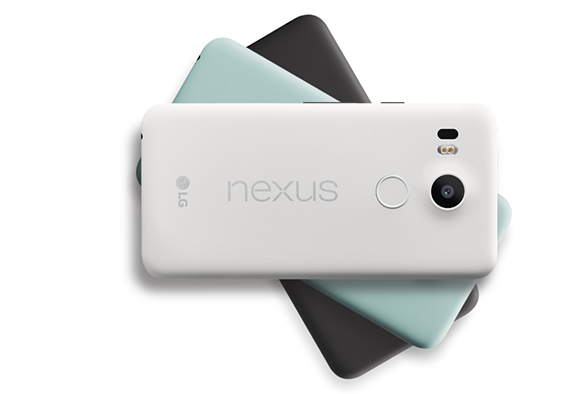 The Nexus 5X features a 12.3-megapixel rear camera, with a f/2.0 aperture, a Sony IMX377 sensor, laser autofocus, dual-LED CRI-90 flash and let’s not forget the 5-megapixel front camera. The rear camera manages to capture some high-quality photos, rich in details and with great colours, especially in good lighting. This happens because of the large sensor that (as Google claims) makes the addition of an OIS unnecessary (but you do have to be extra careful not to shake the camera while taking the photo). In low light, the photos were above average, with low noise levels. 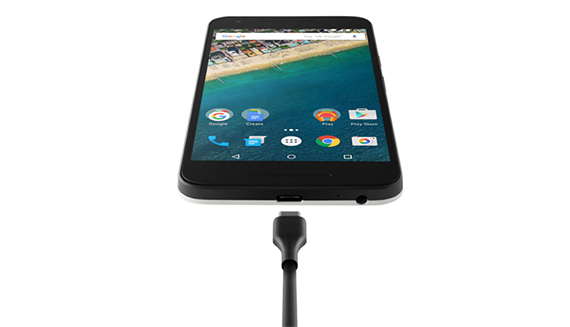 The Nexus 5X features a 2,700 mAh battery that will get you through one day if used moderately. Otherwise, you will deplete the battery in less than 8 hours. While Apple, Samsung, LG and HTC smartphones get their fans over-excited with every released device, Sony’s iteration of smartphones is usually less hyped and for some people, some of their handsets may even go unnoticed. And it’s not hard to understand why, since Sony and the other high-end smartphone manufacturers are facing a fierce competition from the higher spec’d mid-rangers that grow more restless every year. Although, from time to time, there are rumours that Sony may drop from the smartphone and tablet, the reality shows the contrary since Sony consolidated its position with the Z and X series. And that brings us to the Sony Xperia Z3 Plus (also known as Xperia Z4), a unique device even after almost two years after its release and since it was a worthy competitor to the Samsung Galaxy S6, let’s see if it is still a relevant choice today. 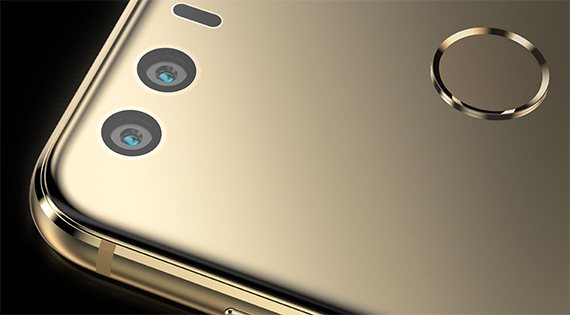 The Sony Xperia Z3+ is one of the early adopters of the glass and metal chassis, so, we’re dealing with a case made of two glass panels on the front and back and a glossy metal band going around the edges of the smartphone, fusing harmoniously together to form a nice feeling when holding the phone in hand. 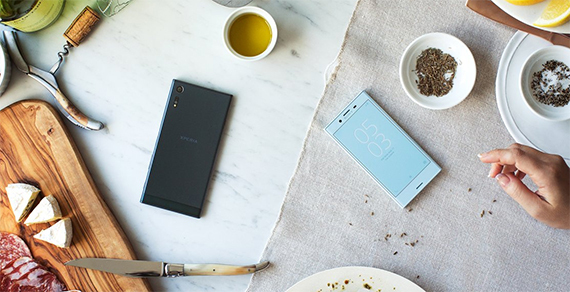 The Xperia Z3+ keeps the signature rectangular design of the Z series, with the corners a little bit rounded and with the buttons less prominent than on the previous generations. But, while the case is undeniably beautiful, it comes with some disadvantages: the glass panels have a bad habit off retaining fingerprints and the phone is very slippery since there is nothing to grip your fingers on (don’t get me wrong I fully appreciate the seamless feeling of the back panel, but you need to get a protective case because there is a high chance to drop the phone, otherwise). Just like its predecessors, the Z3+ has the circular power button, the volume controller and the camera key on the right edge (yes, there’s a dedicated camera button for a quicker way to capture photos) and also, the microUSB port is now exposed (while before it was covered by a protective flap). As expected, the Z3+ has an IP68 rating, so it’s resistant to dust and it is water-proof (more exactly, it can survive for about 30 minutes if submerged 5 feet underwater). This is a trend that have been followed by other high-end smartphone manufacturers and it’s a nice feature to have especially if you want to capture some cool underwater shots. Overall, the design of the Xperia Z3+ is surprisingly unique in the smartphone world (where everybody copies everyone), but, since it has a more rectangular shape, it may not be on everyone’s taste and it may not feel as comfortable in hand as other, more rounded phones. The front side is mostly occupied by the 5.2-inch IPS LCD display, which has 16 million colours, a resolution of 1080 x 1920 pixels and a pixel density of 424ppi. Furthermore, from the info I could gather, the screen is protected by Corning Gorilla Glass 4, so it has a very good protection against scratches, but nothing more. Since the Z3+ is from the same generation of the Samsung Galaxy S6, it’s only natural to make a comparison between the displays. The Xperia Z3+ has a higher maximum brightness (up to 669 nits), which makes it a lot more visible in the summer on the beach, but, that’s where the advantages stop. Unlike the vibrant AMOLEDs with high contrast and great black levels, the display of the Z3+ has a weird blue tint and the colours are pretty far gone into the cool side. Despite that, you can enable the X-Reality Engine feature which should enhance the visual experience for a bit, making the colours more vibrant, so watching movies or photos becomes more enjoyable. 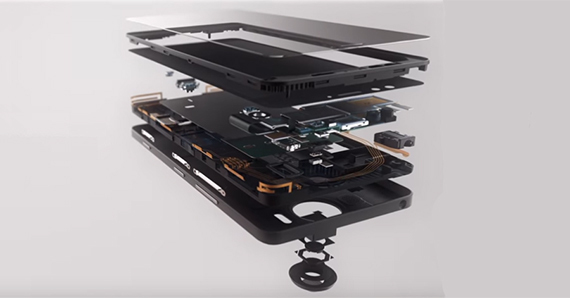 Inside the case, the Sony Xperia Z3+ is equipped with an octa-core Qualcomm MSM8994 Snapdragon 810 chipset (quad-core 1.5GHz Cortex A53 processor and a quad-core 2.0GHz Cortex A57 processor), an Adreno 430 GPU, 3GB of RAM and 32GB of internal storage. 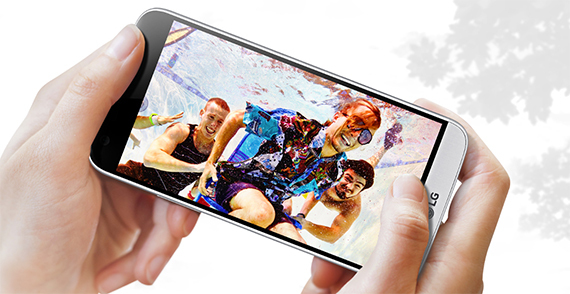 Despite being water-proof, the Z3+ comes with a microSD card slot, so you can add up to 256GB of additional storage. Unfortunately, while a great performer, the Snapdragon 810 is notorious for its overheating problems and the Z3+ has been one of the most affected by this issue. With the Android Marshmallow update, some of the problems have been solved (for example, you can now capture more than 10 consecutive photos before the phone overheats), but it still remains a massive issue for the Z3+. The latest Nougat upgrade seems to have made things worse, so I would not update for now. That being said, while running Android Marshmallow, I could run more resource-heavy games and open multiple apps without problems, until again, the heat would diminish the performance (but not as much as with the previous version of Android). The smartphone is shipped with the Android 4.4.4 version, but it upgradeable up to the latest Android 7.0 Nougat (it has been confirmed that the Z3 Plus will not receive the update to the latest Android 8.0) and, of course, you get Sony’s custom interface which is built on top of Android OS. Surprisingly, Sony seems to dislike bloatware and has kept the interface clean and pretty close to how a stock interface should feel and behave. Lastly, similarly to other flagship smartphones from Sony, there is the PS4 Remote Play feature, which allows you to stream games from the console to the smartphone and allows you to play them remotely. 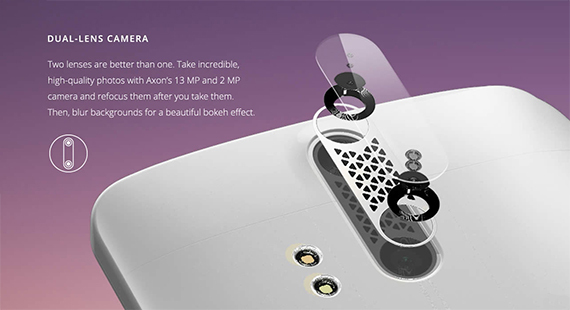 The Sony Xperia Z3+ sports a 20.7-megapixel rear camera with an aperture of f/2.0, LED flash, autofocus, 1.12 µm pixel size and 1/2.3″ sensor size. The 20.7-megapixel sensor is definitely an attractive feature because it helps a lot with the amount of detail that it can capture and this is shown into the quality of photos. Outdoors, in good lighting, the camera can capture sharp, detailed photos and with a good colour balance. Indoors, things are all right, but not impressive. There is a reasonable balance between shadows and light sources (although the camera did sometimes overexpose some brighter white zones), the LED flash does a good job in total darkness, but Sony did not add the much needed optical image stabilization feature which would substantially reduce the amount of noise. On the front, there’s a 5.1-megapixel camera (a good update over the previous phones from the Z series), with an aperture of f/2.4, which allows you to capture some good selfies and it’s reliable for video calls. Inside the case (the back panel is non-removable), the Sony Xperia Z3 Plus is equipped with a non-removable 2930 mAh battery (a decrease from the 3100mAh of the Z3, which happened because of the thinner profile) which will give you almost 18 hours on medium to heavy use. The smartphone also comes with the Quick Charge 2.0 Fast battery charging feature that can get your battery up to 60% in about 30 minutes. 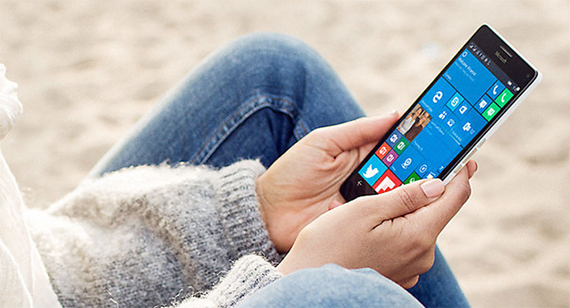 In a world dominated by Android and Apple devices, the Windows phones are often overlooked and since new affordable Android headsets started to become popular, is a Windows phone still a good solution? If you’re not keen on having an Android or Apple phone, Nokia Lumia series offers a large array of affordable headsets with really good specs that would please most of us. The problem is that these phones just did not manage to become popular enough to really become a serious competition to Android or iOS phones (not long ago Nokia announced its new series of Android phones, so Windows handsets have pretty much died with the Lumia series). But, to lighten the mood a bit, I am going to talk about the Nokia Lumia 950XL, one of the few flagship Windows phones which features high-end specs and, hopefully, will have a stellar performance (spoiler alert: it is above average). 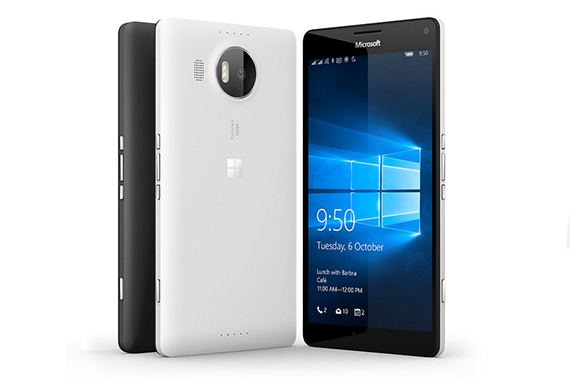 Gone are the days of the orange or bright blue cases of the old Lumia phones, because, while the 950XL looks incredibly similar to the Nokia Lumia 640XL, Microsoft went with a more conservative approach and made the exterior available only in black or white. I don’t know if this is a good or a bad decision because those other, more exotic colours made the Lumia phones look toy-like and I think that Microsoft wanted people to take Nokia more seriously (but, at the same time, I can’t deny that it has lost some of its uniqueness). While most other flagship smartphones have adopted the metal and glass formula for their exterior design, the frame of the 950XL is made of polycarbonate covered by a matte finish, which greatly improves the handling experience (since it’s less slippery than the other metal phones). The 950XL also has a removable back cover and a removable battery (something that seems to happen less and less with smartphones these days) and, while this is a fairly large phone (it measures 5.9 x 3.0 x 0.3 inches), it will not bend if put in the back pocket and accidentally sat on it. On top of the phone you can find the 3.5mm headphone jack, on the right there is the volume controller with the power button in-between the up and down buttons and towards the top, there is a dedicated camera button. On the bottom rests the type-C microUSB port. On the front of the 950XL, you can find a 5.7in AMOLED capacitive touchscreen display (with the ClearBlack technology), with 16 million colours, a resolution of 1440 x 2560 pixels, a pixel density of 518ppi and the screen has a Corning Gorilla Glass 4 protection. Overall, the display is on par with other flagship phones on the market and, because it uses an AMOLED display, you get excellent contrast, vibrant colours (which for an AMOLED, are actually surprisingly accurate) and the black levels are, as expected very deep. By default, the brightness levels are set at around 350 nits (maximum), but, if set on auto, the display will go as high as 700 nits, when you want the see the screen while on the beach, during the summer. Inside the case, Microsoft has equipped the Nokia Lumia 950XL with an octa-core Qualcomm MSM8994 Snapdragon 810 chipset (a quad-core 1.5GHz Cortex-A53 and a quad-core 2.0GHz Cortex-AC57 CPU), an Adreno 430 graphics card, 3GB of RAM and 32 GB storage memory. Additionally, you can use the dedicated card slot to add up to 256 GB using a microSD. These specs are definitely at a flagship level (comparable with the LG G5 and HTC 10), but the phone has had its fair share of problems since the year it was released. Some people experienced occasional lags while browsing the interface and some others had to completely restart the handset to have a smooth experience. Thankfully, Windows has addressed most of these issues and now, the phone runs a lot different than it did almost two years ago. Sure, you will experience the occasional slow-downs, but it does not happen frequently (the process of optimizing seems to still be an ongoing process). One other problem that Lumia 950XL could not really fix is actually the way the chipset overheats the phone. Since it runs the infamous Snapdragon 810, the 950XL has a tendency to overheat after prolonged use or if you open multiple apps and while it has a good cooling system, the handset will still get quite warm (no, it’s not liquid cooling, regardless of what you may have heard from the media). 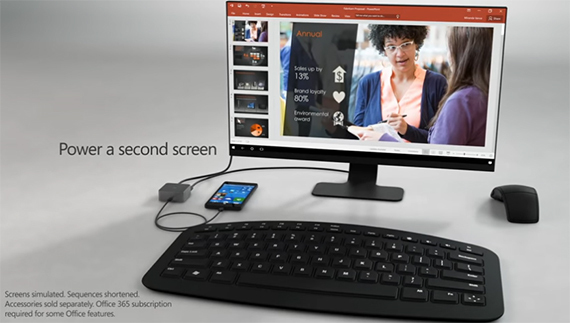 Out of the box, the Lumia 950XL runs the Windows 10 Mobile OS which has that iconic metro-design, also found on other Windows devices (laptops, desktop PCs) and among its most interesting features is the Continuum functionality, which uses the Microsoft Display Dock (you may have to purchase it separately) to connect the 950XL to bigger screens and use a mouse and keyboard to navigate. This is a cool idea and it allows people that want to do quick document editing or to quickly access some important files. Sure, it won’t replace a desktop PC or a laptop (it doesn’t have the power to do so), but it’s a reliable tool, especially when travelling a lot. Besides the Continuum functionality, there’s also the Windows Hello feature, which has the role of scanning your iris (using a dedicated camera sensor) in order to unlock your phone. This feature has gotten better during the last couple of years but I still had some problems while wearing glasses. 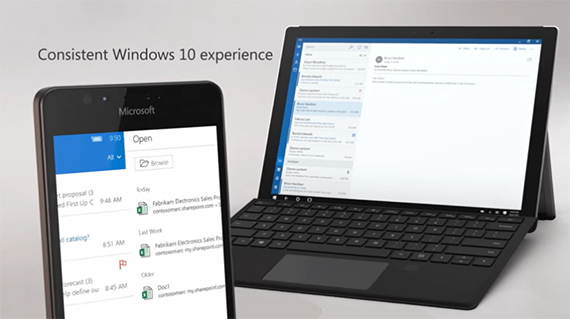 The Windows platform for mobile phones has always been interesting and more enterprise-oriented (more so than Android or iOS), but, it has and seems to still suffer from a chronic lack of apps that would attract a larger number of people towards this platform. 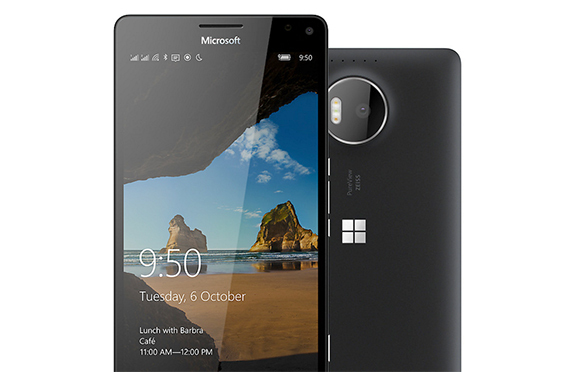 The Nokia Lumia 950XL has a 20-megapixel rear camera, with an f/1.9 aperture, optical image optimization (OIS), triple-LED RGB flash, Carl Zeiss optics, 1/2.4″ sensor size and PureView technology. On the back there’s the 5-megapixel secondary camera, with an f/2.4 aperture, which is perfect for selfies and video conferences. In good lighting, I was able to capture some really good shots, the image being bright and crisp, with a proper amount of detail, good white balance and overall, it was on par with the camera of Samsung Galaxy S6. Even in low-light, the camera behaved really good, especially because of the optical image stabilisation. Photos had a good amount of noise and the camera kept a good white balance. The Nokia Lumia 950XL features a removable Li-Ion 3340 mAh battery that is able to deliver one day of light to medium use and around 11 hours of continuous video looping. Furthermore, the phone supports fast charging (you get 50 % of battery life in 30 minutes) and there’s also support for wireless charging.